Advanced infrastructural unit of our organization is flawlessly segregated into different divisions for smooth working and maximizing the benefit in simple way. 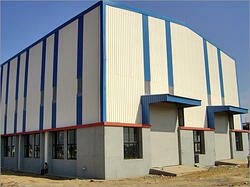 We additionally equipped these units with ultra advanced technology, latest machines and advance tool. Further, regular updating of our infrastructure is carried out by our persistent work force that runs it with awesome productivity and magnificence. In totaling we have installed higher machinery and present day innovation in sort to meet the differing supplies of our regarded regulars in an opportune way. In adding to this, our infrastructure has been separate out into wide-ranging departments like making, fabulousness testing, sales and advertising. We are upheld by skillful group of experts, who work in cohesive manner with each other to achieve managerial objectives of company. Our related vendors dependably give us on-time delivery of requests, because of which we face no delays while giving the requested products at the customers' favored area inside the scheduled delivery. We motivate our vendors to supply the best quality material on obliged time in a proficient way. They are our genuine quality that help us a considerable measure and help us in even discriminating condition.